Museletter 280: Cap Fossil Fuel Production Now! Climate scientists are in broad agreement that there are enough fossil fuels in the Earth’s crust that, if they were all burned, the result would be dramatically rising sea levels, extreme weather, plummeting food production, dying seas, and a mass extinction of species (possibly including our own). Therefore the only sane response to global warming is to leave most of those fuels in the ground. But there are actually other reasons as well to cap fossil fuel production. Back in 2007 I wrote a book called The Oil Depletion Protocol. * It argued for a policy idea that had previously been put forward by petroleum geologist Colin Campbell; the essential thrust of the idea is to put a gradually lowered cap on global petroleum production. The book didn’t discuss climate change much; indeed, its subtitle was, “A Plan to Avert Oil Wars, Terrorism, and Economic Collapse.” I argued that such a Protocol would actually be good for oil producers (as well as everyone else), in that it would provide stable prices and thus a more predictable market environment in which to operate. The book mostly failed to connect with policy makers (a few cities endorsed the Protocol, but no nations), or oil companies (not a single one responded positively), or book buyers (even though it carried some glowing endorsements from politicians, environmentalists, and an oil industry insider). Here we are eight years later and the oil industry is in a carefully disguised panic. No company wants to admit that its future is bleak, but the signs are unmistakable. Undisciplined production and volatile prices—two of the problems the Protocol was intended to address—have overturned the balance sheets of producers large and small. 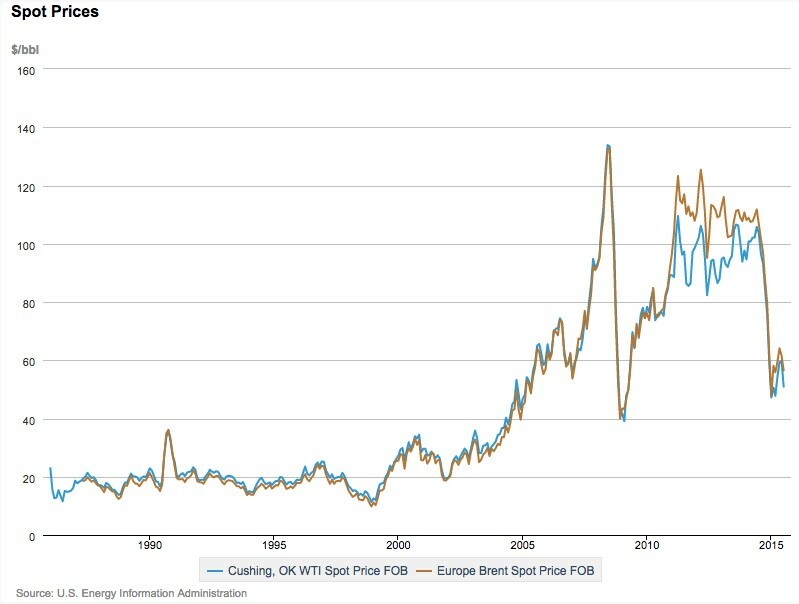 Conventional crude oil extraction rates stalled out a decade ago due to the depletion of legacy giant oilfields; that initially sent prices skyrocketing, and the global economy stuttered to a near-standstill (yes, other causes contributed to the slowdown, including too much debt). But then high oil prices and low interest rates provided the incentive for small-to-medium drilling companies to borrow up and target some of the last, worst prospects in North America using expensive horizontal drilling and hydrofracturing technology. The ensuing tight oil boom, occurring in the context of a stagnant global economy with limited demand for new petroleum supplies, eventually led to an oil price collapse (starting in mid-2014), so that now the frackers are losing money hand over fist and have had to resort to taking on enormous amounts of debt that’s soon coming due, while oil revenue-dependent nations are facing perilous budget problems that could ultimately lead to political and social upheaval. The entire global economy currently runs on oil, so volatile prices sooner or later affect everyone. In 2008, oil prices spiked to $147 a barrel, helping precipitate a global financial crisis from which the world has never really recovered. Today’s lower prices are good for motorists and airlines, but poison for drillers. There is no longer a “Goldilocks” oil price that works for both producers and consumers. Investment in future production is being delayed or canceled, ensuring shortages in a few years. Rather than a steady and predictable ramp-down in world oil supplies, we are likely to see ever-more severe boom and bust cycles that inhibit planning and adaptation. The law of supply and demand is supposed to offer up the best of all possible market conditions. But if a particular commodity happens to be a pillar of the entire economy and is not easily replaced, yet is also rapidly depleting, forcing producers to turn to ever-lower quality resources, then unregulated extraction can lead to a series of increasingly urgent yet often misleading price signals. The Federal Reserve and central banks the world over use monetary and interest rate policies to keep inflation or deflation in check. Production caps would do essentially the same thing for oil prices, helping both producers and consumers plan and adapt. Environmentalists are accustomed to thinking of fossil fuel industry as the enemy; but they must eventually confront the inconvenient truth that, for the next two or three decades, oil and gas will still be necessary. That’s partly because we currently need fossil fuels for building, transporting, and installing renewable energy infrastructure (panels, turbines, electric cars, energy storage, grid upgrades, public transit). If oil becomes less readily available, then existing users will be bidding against new users in the rapidly growing renewable energy sector. It would be terrific if renewables could bootstrap themselves, providing the power for their own manufacture and installation, but they’re not profitable enough (they still require subsidies) or versatile enough (we’re a long way from being able to use solar or wind electricity for mining, high-heat industrial processes, container ships, and heavy trucks). So we will need to do some energy triage, using taxes or subsidies to direct our remaining fossil fuels preferentially toward transition efforts as our use of them declines over all (ideally through the implementation of carbon caps). That will require some clever policy design. In short, we need fossil fuels to go away, but in a measured and predictable way. And we need them to do some important work for us on their way out the door. Why would anyone resist the idea of fossil fuel production caps? A lot of people just don’t like the idea of a managed economy. Others are leery of directly reducing fossil fuel supplies because doing so could lead to economic contraction. But we’re headed for the end of fossil-fueled economic growth in any case. It’s just a question of whether we make the shift in a coordinated way, or through a series of escalating crises. Right now climate policy negotiators are hammering out an agreement to be signed in Paris late this year. Of the policy measures being discussed, some (carbon taxes) do not entail actual caps. If caps are approved, there are further decisions to be made: should we limit carbon dioxide emissions (which can be complicated: do you account for offsets, which can be gamed?) or actual fossil fuel extraction at the mine or wellhead (which is likely to be much simpler)? Then, how should remaining production amounts be allocated? A promising idea that has gleaned far too little attention is the use of rationing, via Tradable Energy Quotas. Our climate dilemma is dire and worsening by the month. We have no time to dither. We should do the simplest, most straightforward thing and forgo an ever-larger annual portion of fossil fuel production, limiting extraction at the mine/wellhead. Then allocate produced fuels via tradable quotas to citizens on a per-capita basis and auction the rest to industry, with companies vital to the renewable energy transition either subsidized outright or given a discount on the fossil energy they use. Also, we should create one international fund for relief from climate-related disasters, and another to help poor countries do an end-run around carbon-heavy development policies by going directly for renewable energy and intermediate technology. Oh yes, and while we’re at it: we should provide serious support for carbon sequestration efforts that center on soil-building and reforestation. Will this be the outcome of the United Nations Conference on Climate Change in Paris, November 30-December 11? Don’t hold your breath. But if this is what you think we should do, now is the time to say so. *The Oil Depletion Protocol has also been referred to as the Rimini Protocol and the Uppsala Protocol. Oil pump feature image via shutterstock.